How to integrate your IAM with thick-client, desktop executables as well as cloud apps? Why your IAM vendor’s encryption architecture is paramount (client-side vs. server-side)? How to leverage IAM to eliminate phishing risks? How to regain control of clouds apps and detect Shadow-IT? 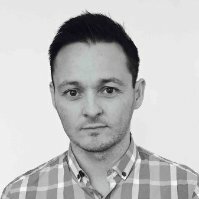 If you are looking to implement an IAM solution, check out Mike's presentation to avoid the pitfalls. Learn why My1Login's client-side encryption architecture is market-leading and how My1Login's Single Sign-On works with applications that other vendors don't, e.g. Flash apps, desktop executables and bespoke in-house applications. 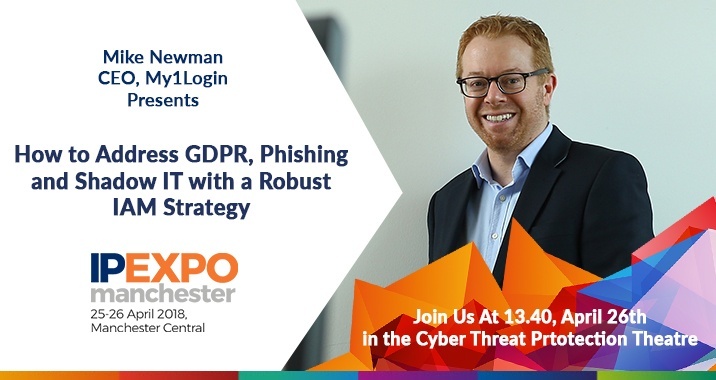 You can see Mike speak in the Cyber Threat Protection Theatre at 1.40pm on 26th April 2018. The team are exhibiting at IP Expo - our Stand W742 will have some familiar faces, so please feel free to come by and say hello to Norman, Eamonn, Ken, Jenny, Helen, Fran, Laura and Danielle. Our CEO, Mike, will be on the stand periodically, so if you'd like to speak to him personally drop me an email and I can arrange that. My1Login will also be on our fantastic partner's (Epaton/NGS) Stand N234, so please come see us there too! There will be a couple of bars available, so come along and enjoy a refreshment as well. We're a friendly bunch at My1Login and we'll be delighted to answer any questions you may have on Identity & Access Management. Come see why My1Login won Identity & Access Management Solution of the Year at the Computing Security Awards and why we're a finalist for the upcoming SC Magazine Award for Best Identity Management Solution. 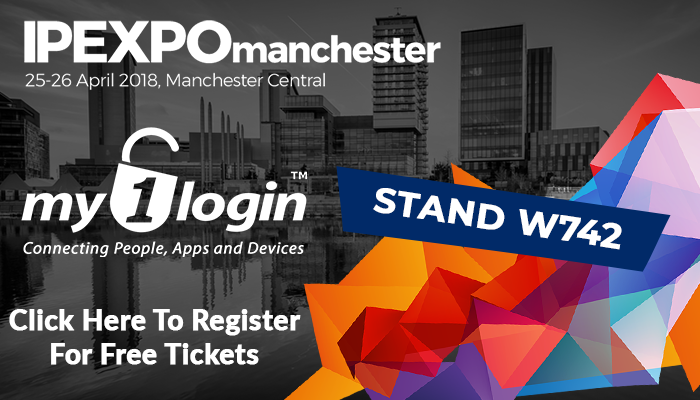 If you want to visit our stand or attend our talk you can use this link to take advantage of free tickets (Instead of £35 at the door) to attend IP Expo Europe and join us. We look forward to meeting you!